UDH 100 là DAC 24-bit, 192kHz. UDH 100 là Headphone Amplifier Single End Class A.
UDH 100 cũng là Pre Amplifier xuất tín hiệu sạch ra qua đường RCA. UDH 100 sử dụng qua máy tính, kết nối bằng đường USB, để sử dụng với tai nghe hoặc đóng vài trò là pream cho hệ thống âm thanh Hifi của bạn, khi bạn muốn tận dụng hệ thông và muốn nghe nhạc chất lượng HiFi từ máy tính. UDH 100 hỗ trợ các tai nghe có trở kháng từ 16 ohm to 600 ohm,có jack cắm 6,3". UDH 100 màu silver,có vỏ bằng hợp kim, vừa bảo vệ tốt cho các thành phần bên trong, vừa là tản nhiệt. Mặt trước gồm 1 nút điều chỉnh âm lượng bằng hợp kim và 1 jack dùng cho headphone chuẩn cắm 6,3". Mặt sau của UDH 100 có cổng vào là USB sử dụng với máy tính, và đầu ra pre amp RCA. With its single USB input, the UDH-100 stands as the ideal device for those who have no need of other sources. 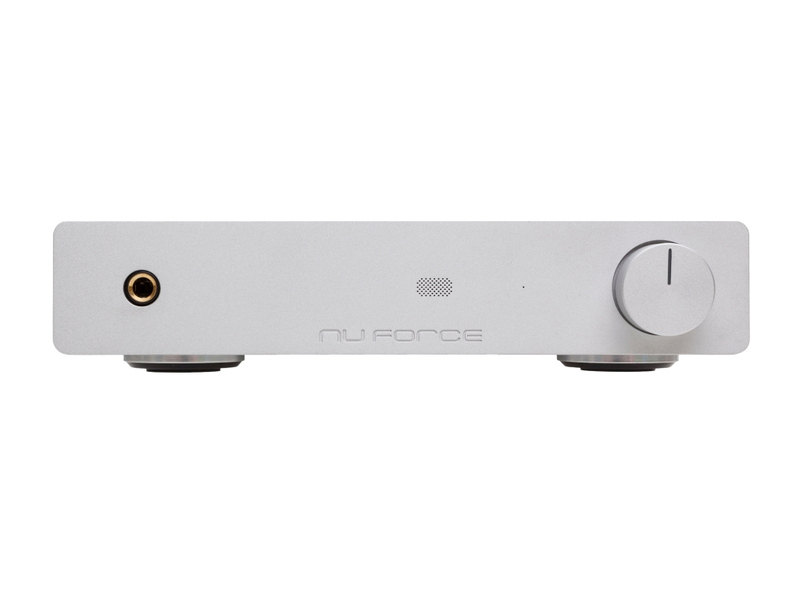 Features include a precision digital volume control, a high-power headphone amplifier section with extremely low distortion, a high-resolution analog RCA output stage, and a convenient wireless remote. The UDH-100 employs a true, 24-bit, 192kHz DAC that accurately converts digital audio data to an analog signal at its native sampling rate. No up-sampling or other questionable data-manipulation is employed. Jitter accompanies all digital processes to some degree. A typical computer’s USB bus is especially prone to jitter owing to its alternate use in communicating with external computer peripherals (printers, etc.). The UDH-100 employs NuForce’s proprietary asynchronous data transfer technology, which reduces jitter to the vanishing point. 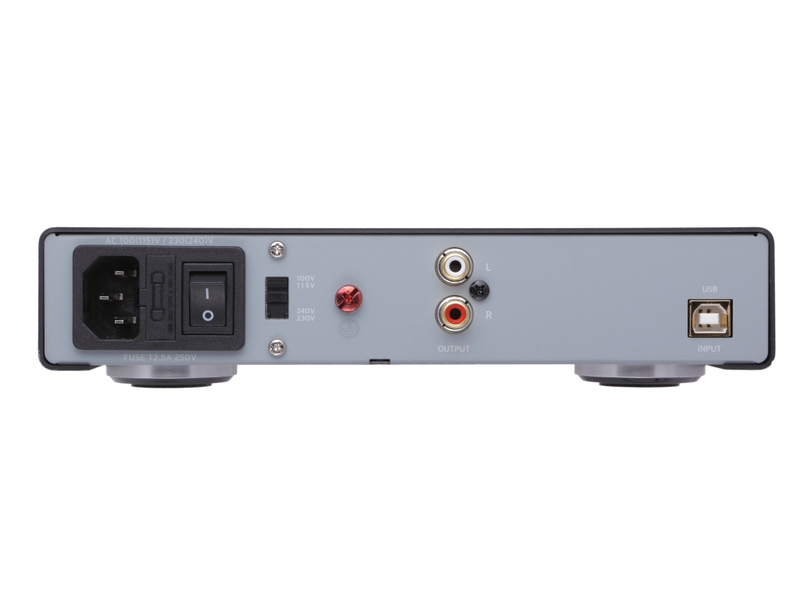 The UDH-100’s digital input stage operates in an asynchronous mode independent of timing errors associated with incoming digital audio streams. Compared to traditional USB isochronous data transfer, jitter is greatly reduced. Quality headphones generally require muscular amplification in order to drive them to their full potential. The UDH-100 fulfills this need by including a single-ended Class-A headphone stage operating in constant-current mode in order to deliver pristine sound to headphones widely regarded, on the one hand, as difficult to drive, and on the other, as the best available. As a further attraction, the UDH-100’s noise-rejecting circuitry excels at driving high-sensitivity/low-impedance headphones as well. 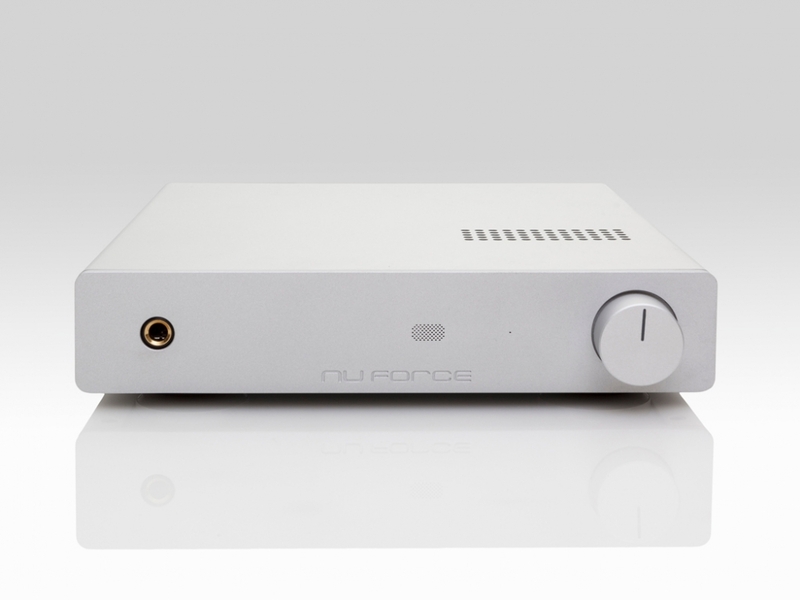 In short, the UDH-100’s headphone amp delivers enough power – a full 500-milliwatts of single-ended Class A power, held by many audiophiles to be a headphone amp’s purest form of circuit topology – to drive most headphones with absolute authority. Volume controls are often a source of distortion and channel imbalance. In order to achieve supreme accuracy, an analog volume control’s design requires a high degree of sophistication and commensurate production costs. Modern digital controls are superior in many respects. However, they will degrade dynamic resolution if operated at the same bit depth (resolution) as that of the audio data – a difficulty easily overcome if the control operates at a higher degree of bit resolution than that of the audio data. TheUDH-100 employs a digital 32-bit volume control that provides extreme accuracy and precise channel tracking. Unlike common digital volume controls operating at 24 or 16-bits, the UDH-100’s 32-bit volume control avoids any loss of low-level resolution. 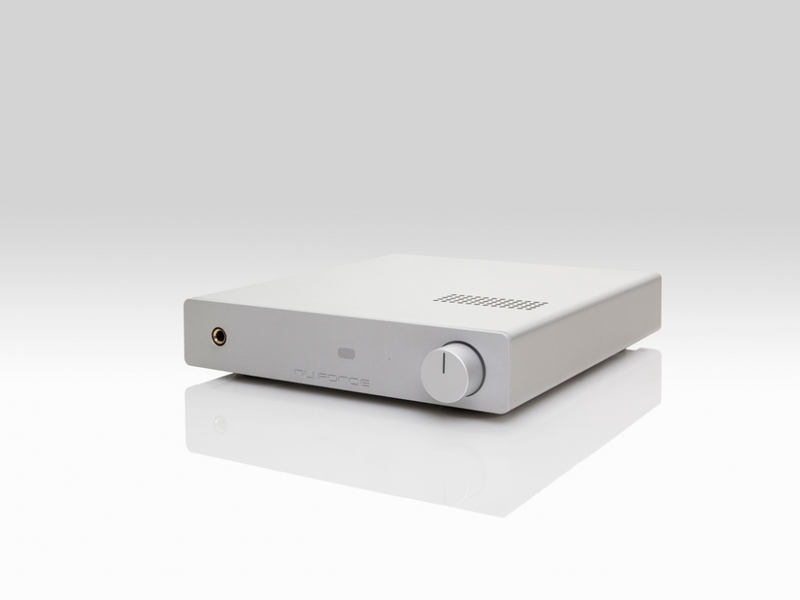 Finally and of great importance is the line-level analog stage that follows the DAC. Irrespective of the DAC’s accuracy, the sound the finished product produces can be no better than the amplification at the line-level stage. Indeed, this stage shares much in common with typical preamplifiers – without the extra gain. The UDH-100 has been designed to deliver the analog signal to its RCA terminals with the same level of audiophile fidelity found in the very best preamps. The UDH-100’s analog preamp stage is a minimalist design that approaches a straight-wire-with-gain level of performance. Top-quality parts and a full 2.0Vrms signal level ensures the purest of analog signals. 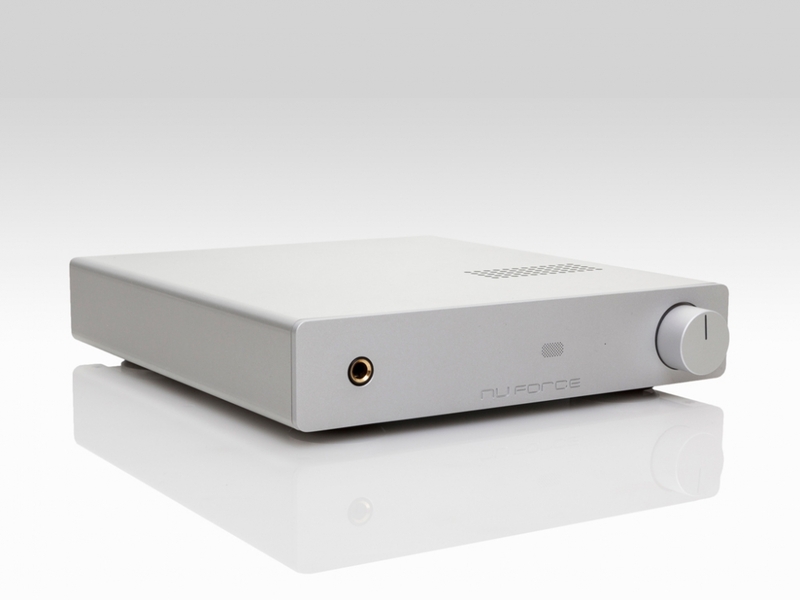 0 Đánh giá cho "NuForce DAC, Headphone Amp, PreAmp UDH 100 - Silver"